Your choice at Shadow Bet Casino – Up to 120 Extra Spins or Casino Bonuses up to 100%! Shadow Bet Casino has a nice promotion starting on the 8th November for 2 days only, hailed as “Your Choice” giving you the player a variety of different offers to choose from when making a deposit during this period. There is a selection of “extra spins” offers (up to 120) as well as the more regular deposit match bonuses on offer (up to 100%), with the key point being you can only choose 1 of these offers during the promotional period so you need to pick wisely! To claim any of these offers simply make a deposit at the casino and select the relevant offer making sure you meet the minimum deposit thresholds. Details of the required deposit amounts, wagering requirements, bonuses and extra spins are summarised below. There are a variety of different offers to choose from shown below. Promotion is valid from 08.11. 10:00 (UTC) till 10.11. 23:59 (UTC). 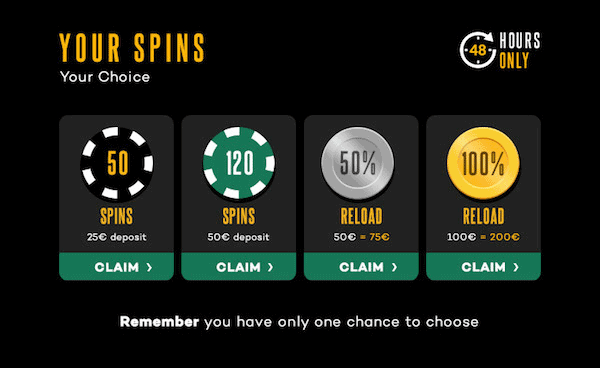 Select from one of the Extra Spins or Reload Bonuses on offer. 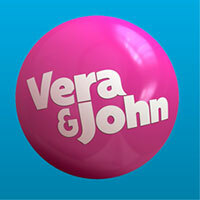 Extra Spins or Bonus will be credited immediately after deposit. 35x wagering on Extra Spins and Deposit Bonuses.